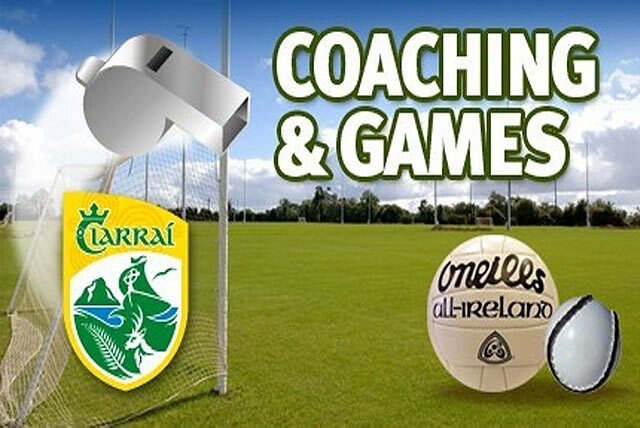 Kerry Coaching and Games are organising an Award 1 Child Course presented by P.J. Reidy GDA (South/Mid Kerry) and Vince Cooper GDA (East Kerry/Kenmare District). This Course is for Coaches in South Kerry, Mid Kerry , East Kerry and Kenmare District. The course will consist of theory and practical modules over 1 Night and 2 Days (3 sessions in Total) and a host of guest speakers will deliver practical workshops aiming to improve and develop all coaches. If coaches in your club have completed a Foundation Course, this is the next Course on the Coach Education Ladder. This course is geared towards Under 6 to Under 12 Club Coaches. The cost of the course is €25 per person. Venue: Firies GAA Club meeting room Time 7.00 pm to 10.pm. Venue: Nagle Rice Community Centre, Milltown, Time 10 am to 4 pm. Venue: Nagle Rice Community Center, Miltown, Time 10 am to 4 pm. *Please Note all 3 Modules (days) have to be completed to be awarded certification. Please contact PJ Reidy at pjreidy.gda.kerry@gaa.ie for information and booking.